My name is Parie and I am addicted to highlight. Even more so when its advertised as limited edition, it just makes me want it more and more no matter how much I resist. 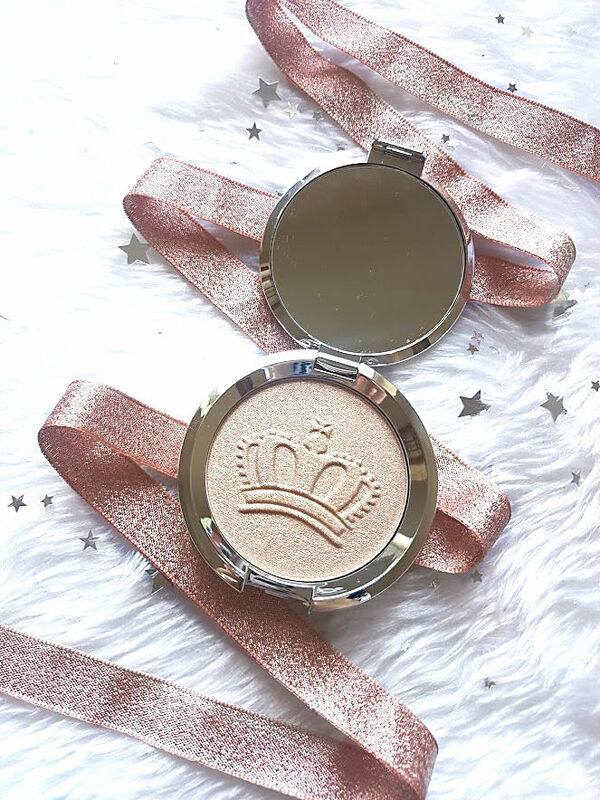 When BECCA announced their limited edition Royal Glow highlight, I knew that eventually my finger would slip and it would arrive through the letterbox. Since turning up, I haven't put it down and can see myself using this a lot. 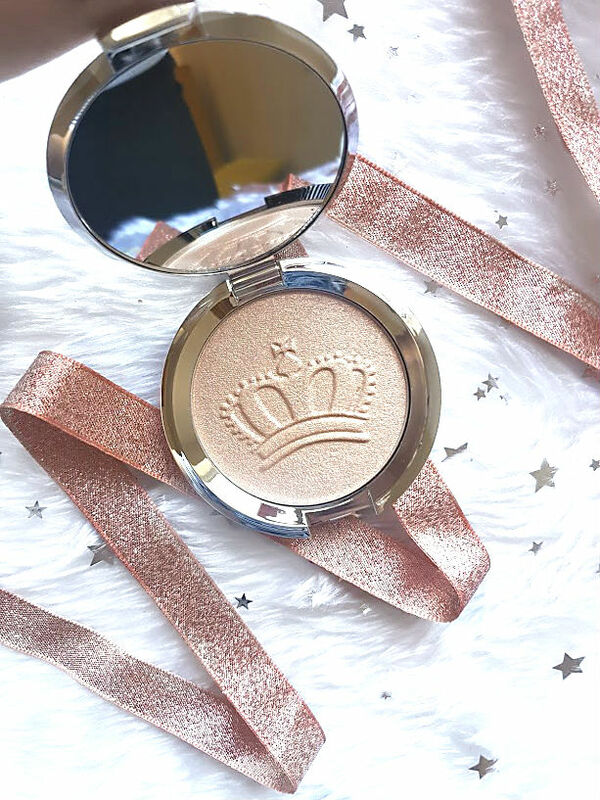 Achieve a glow that’s nothing short of regal with BECCA’s newest, limited edition Shimmering Skin Perfector Pressed Highlighter shade, which is embossed with a crown and fit for any cosmetics queen. A warm golden honey infused with pink pearl, this finely milled illuminator lends skin a beautiful, back lit lustre without a trace of tell-tale glitter. Like soft focus lighting in a compact, the innovative creamy texture features ultra-fine, multi-toned pigment pearls which adjust to skin’s natural undertones, so you look luminous in any light (it’s the perfect foil for dullness and signs of fatigue). Just dust over cheekbones, or apply all over your face for a beautiful, diffused finish. 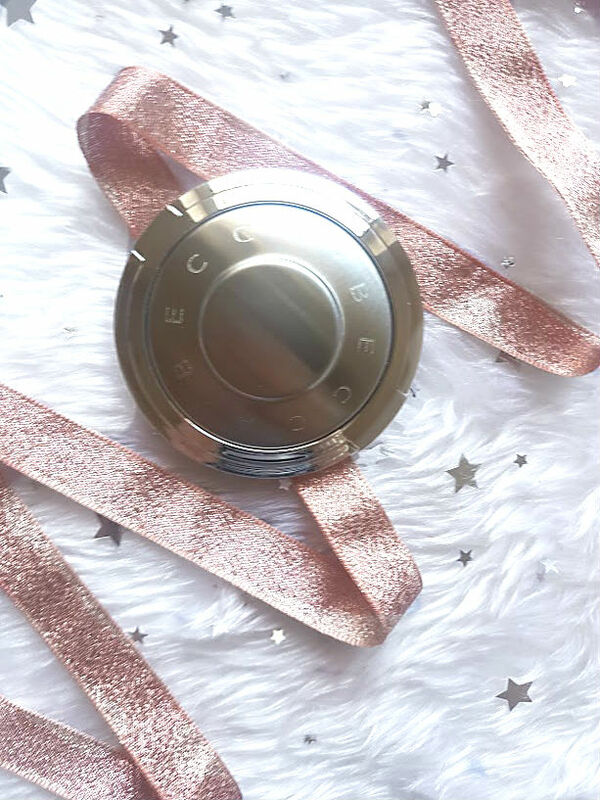 One thing that I love about BECCA as a brand is how minimal and simple their packaging is, no fuss and easy to use and get the most out of. I own a few products from them including two highlighters, Champagne Pop (which recently smashed) and Opal. The highlighter is packed inside a silver compact with mirror, about palm size. 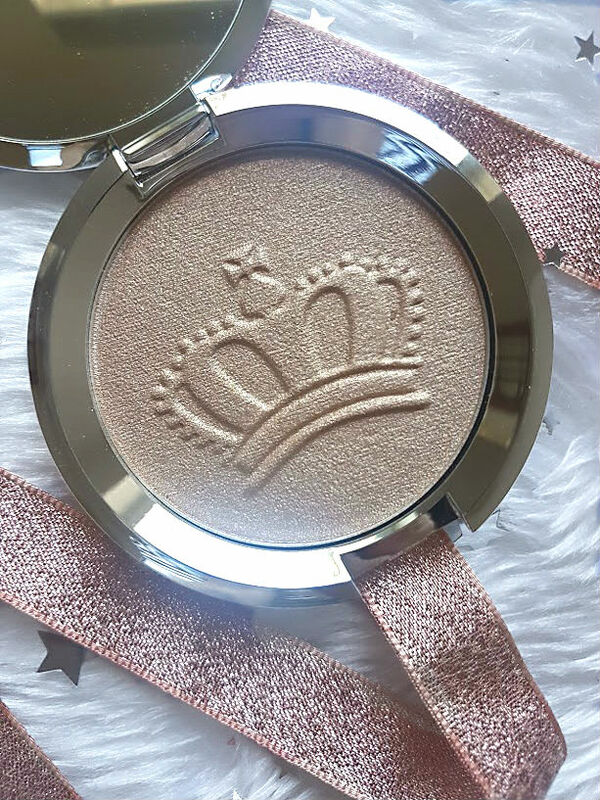 The actual highlighter inside is embossed with a crown which makes it even more beautiful and too pretty to use. Inside there is 7g of product and I find with BECCA products there is no end, no matter how often it is used. Eventually, I got around to using it and swatching it but it did slightly hurt me inside. As soon as I used it, I fell in L-O-V-E and have not stopped using it since. This highlighter adds the perfect amount of glow to the skin and can be built up to be more intense and eye catching. For everyday, I take a highlight brush and sweep it across my cheeks but then in the evening, I really pack it on and let me skin glow. Describing it is a little difficult, but I hope the swatch above shows it off. It isn't gold or very champagne, but in the middle - almost peachy? But it just works and looks amazing. The formula is blendable, doesn't emphasise pores or texture and so smooth. I adore Becca highlighters as it is and this does not disappoint. 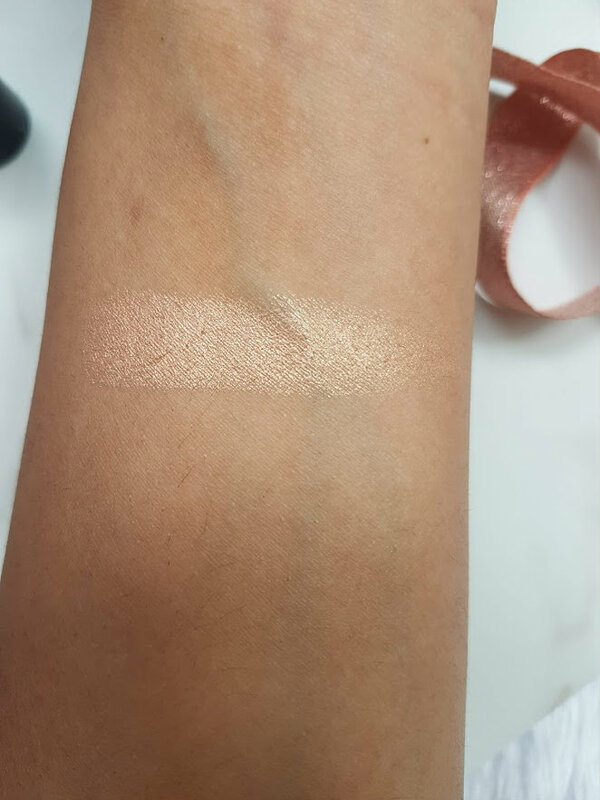 This is definitely a highlighter to have in your collection, no matter what your skin tone and I mean, LOOK AT HOW PRETTY!